A seminar was held at the senate led by Mom Luang Preeyapun Sridhavat, Chiang Mai Senator, the Deputy Chair of the Committee on Social Development and Children, Youth, Women, the Elderly, the Disabled and the Underprivileged Affairs and the President Thai Women Empowerment Fund. ML Preeyapun is a Chiang Mai resident, Honorary Consul for Peru and owner of the Chiang Mai Ballet Academy. The purpose of the seminar was to generate debate and listen to suggestions as to how best ASEAN – Malaysia, Singapore, Indonesia, Philippines, Brunei, Vietnam, Laos, Burma, Cambodia and Thailand – can work together on women matters within the region. Ideas were exchanged and experiences shared by leaders of women’s groups as well as female politicians in order to build cooperation amongst female counterparts throughout the region. This event was jointly held with the Friedrich Naumann Foundation for Liberty, Thailand, and attendees included female politicians from both the ruling party and the opposition parties from all ASEAN nations. Issues discussed included problems faced and situational analysis of women’s roles in government, the private sector, the media as well as social issues, all of which were compiled for future analysis. 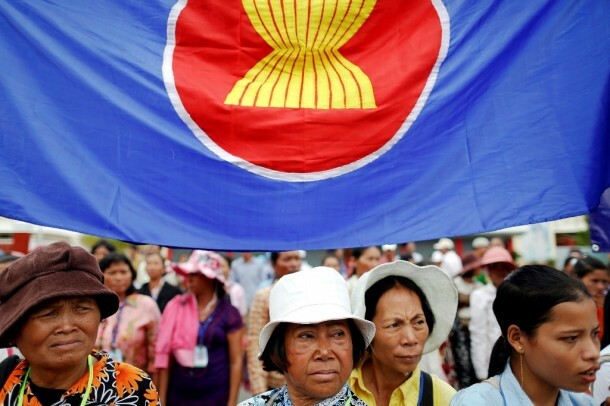 It is believed by organisers that if the leading women of ASEAN could share their visions and create a unified network and voice, they can expand economic cooperation, work on social issues and preserve and nourish culture with the people who will benefit the most being the population of ASEAN nations. When compared with other nations in the regions, it appears that women in Singapore, Thailand and Vietnam are already playing active roles in the economy. In some nations with stronger religious and cultural influences, women have lesser roles politically and economically, which is understandable due to cultural differences. Some countries, however, have educational restrictions upon women such as Burma and Cambodia, where women have less access to education than men, in spite of the fact that education comes in many forms. For many, education can come from access to information, news, radio, television as well as the exchange of knowledge on a day to day basis. Especially with the internet, women will have more access to knowledge and education. Thailand sits at the top of ASEAN nations for women’s roles in politics with 45% of managers and executives being female. Politically Thai women also play major roles from village elders to regional leaders; this is because there has been a concerted effort over the years to push the public role of women. Many villagers have women’s groups or coops and housewives associations, all of which help to solidify the role of women as leaders in Thai society. One issue raised is language; in border areas such as Surin, women trade and generate business in Khmer, they are restricted should they wish to expand their businesses internationally, by their English language skills. It was therefore agreed that the government would be asked to promote the learning of English in schools as well as to train and up skill English teachers. Another avenue of improvement would be to ask religious leaders, of each religion, in these areas to help work with women by acting as communicating channels for women. A budget has also been requested of the government to help train and give women opportunities to enter politics or to step into a bigger social role in society. The benefits for Thailand when entering the ASEAN Economic Community in 2015 is that the move will become an impetus for Thailand to develop itself to become more competitive regionally. Citizens will be enthusiastic about pushing the country forward, improving language skills or business practices so that Thailand can grow. With a population of over 600 million in ASEAN, the market for Thai farmers, manufacturers, producers and businesses will be vastly expanded. As of 2015 those working in the following sectors, will be able to move seamlessly to work in all ASEAN nations: medicine, dentistry, nursing, architecture, engineering, accounting, auditing and tourism (though Thailand is the only country which has not ratified the tourism sector). This will create job migrations across the regions, for instance, the Philippines has an abundance of highly trained English speaking nurses, it is expected that many will be coming to Thailand to work. Thai nurses will have to begin to improve their skills immediately in order to stay competitive. Another issue the committee will focus on is how to prevent exploitation of women from nations which have less access to education, so that they are not trafficked for labour, prostitution or taken advantage of. Thailand was placed second, for the second year, on the United State Government’s two-tier watch list for being the source, the destination as well as the throughway for human trafficking. This has affected some of Thailand’s trade with western countries and is something with Thailand must address immediately before the open borders exacerbate the problems. On behalf of the Committee on Social Development and Children, Youth, Women, the Elderly, the Disabied and the Underprivileged Affairs, ML Preeyapun Sridhavat promises to continue to work on all and other related issues for the greater good of the ASEAN community.